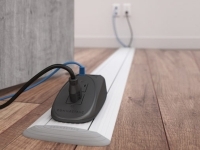 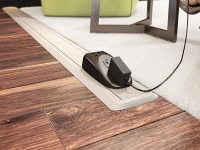 Connectrac In-Carpet Wireways offer unobtrusive power and technology connectivity in interior spaces of all kinds. 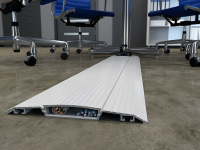 They combine an extruded aluminum wireway flanked by ultra-low sloping floor transition ramps, creating a subtle, cable pathway solution for virtually any need. 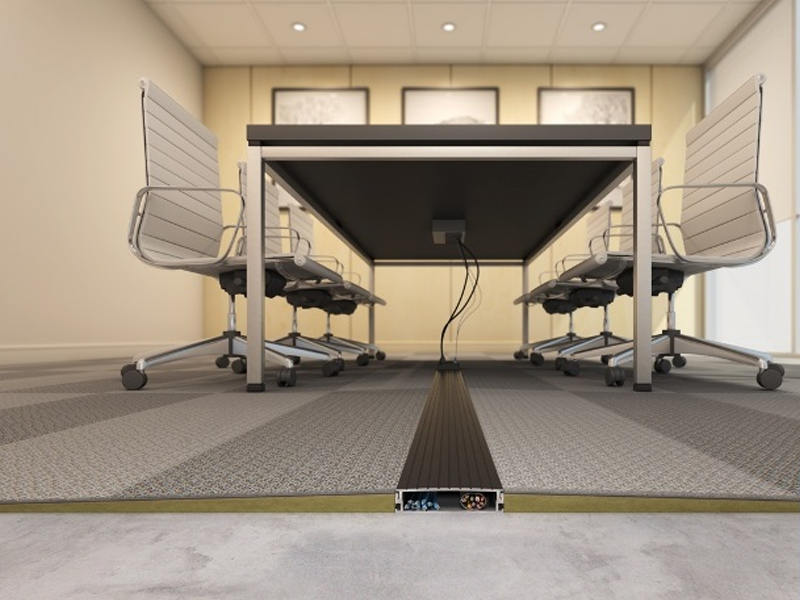 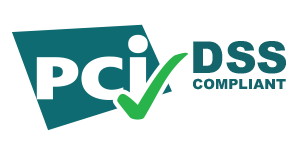 Extremely durable and flexible, Connectrac In-Carpet Wireways comply with the ADA and offer a multitude of power options and telecom capabilities. 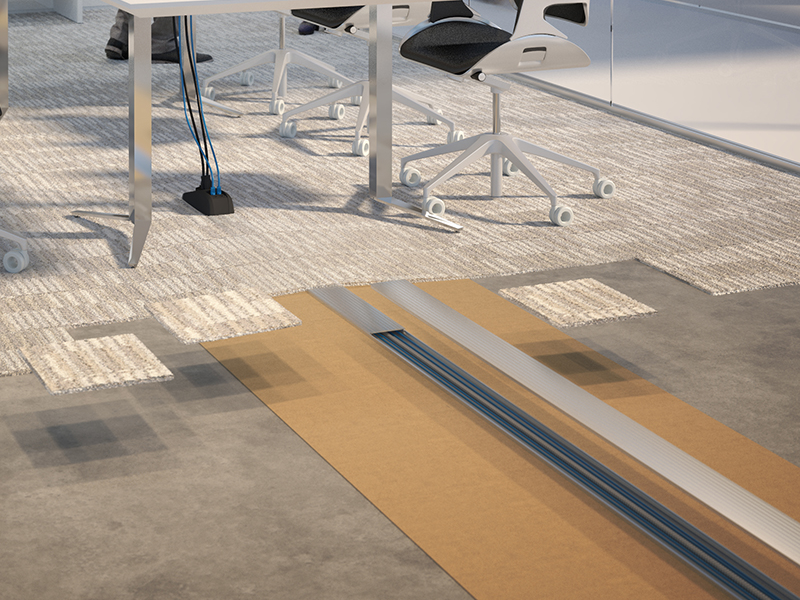 Connectrac is the best alternative for open space connectivity when aesthetics, flexibility and value are important.